Next check the most popular models: Often there is "wisdom in the masses" so you should check a list of the Best Selling HDTV Sets to see what others decided to buy. You may not always agree with all conclusions from "the masses" or "Consumer Reports", but at least we know neither is influenced by the need to sell advertising. Final Step to selecting your new TV: Do your own research in the store as your tastes will probably be somewhat different from "the masses" or "Consumer Reports." LCD vs Plasma: LCD HDTVs use much less power for a given screen size compared to Plasma TVs. They could be cheaper to own over the long term. LCD HDTVs are usually easier to view in a bright room compared to plasma HDTVs. I chose LED over plasma to save on power. I own a Samsung LNT5265F 52-Inch 1080p LCD HDTV which is the same version of top rated set (Samsung LN52A650) but with 60Hz. My side-by-side comparison in the store between 60 Hz and 120 Hz did not justify the higher price for 120 Hz. I decided to apply my budget dollars towards a larger 52" 60 Hz HDTV compared to a smaller set with 120 Hz. 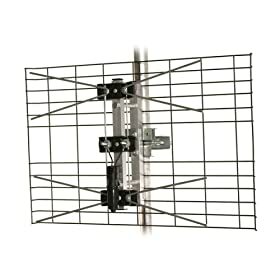 If you have picture troubles, make sure you have a good HDTV Antenna before returning your set. 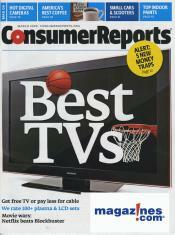 Named "The Highest Performing Indoor Antennas" from HDTV Primer. Receive uncompressed, over-the-airHDTV signals from local affiliates. Better HDTV picture than cable or satellite. Great for indoor, outdoor and attic use.